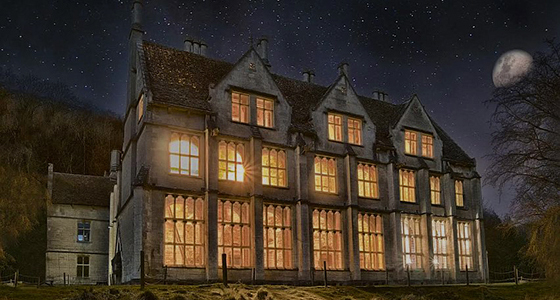 Woodchester Mansion, a Pugin designed Gothic Masterpiece, was left idle after its creator William Leigh, died in the middle of construction in 1873. He left behind a building that appears complete from the outside, but with floors, plaster and whole rooms missing inside. During the Second World War, Woodchester Park was used as a billet for Canadian and American troops, and the mansion itself used by St Paul's Teacher Training College. It was then abandoned to the elements. Fortunately, its isolated position meant it did not suffer from vandalism. The EVPs captured below certainly do seem in fitting with the history of the Mansion. The artisan builders employed to do the fine stonework came from France and the gentleman's voice may be tied to the house's occupation in WWII. EVP1 to EVP3 were recorded in the cellar and EVP4 and EVP5 were recorded in the main hall; there were only two of us present in the building when recording.